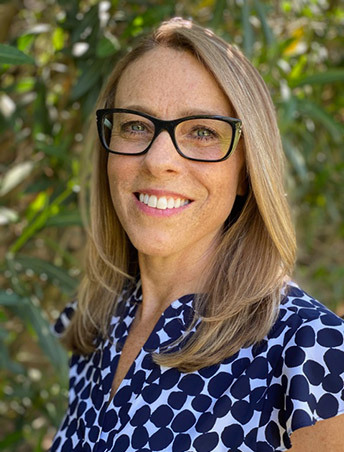 Catherine Eckel, Ph.D., is a licensed psychologist with a private practice in Los Gatos, California. She provides evaluation, treatment and consultation for children, teens and adults. Her general areas of practice include anxiety, depression, managing transitions, learning and school related problems, social and relationship difficulties, stress reduction, and building skills to improve performance in academics, work and athletics. Dr. Eckel specializes in the treatment of selective mutism and has served on the Board of Directors for the Selective Mutism Association (www.selectivemutism.org) and is the co-founder of Freedom Camp (www.selectivemutismbayarea.com), an intensive treatment program for children with selective mutism. She has presented on selective mutism treatment at several conferences including the Selective Mutism Association and the Anxiety and Depression Association of America annual conferences. In addition, she collaborated with several other experts to develop the Selective Mutism Proficiency Program, an in-depth training for professionals that focuses on the treatment of selective mutism. For more information on selective mutism treatment, click here. Dr. Eckel consults with parents, teachers and schools in order to develop strategies and treatment plans for children and teens. In addition, she provides informational presentations to school districts and professional groups on various aspects of child and teen mental health. She also works individually with adults on issues related to anxiety, depression, relationships, transitions, stress reduction, and improvement in academic, work or athletic performance. Dr. Eckel received her Bachelor’s Degree from the University of Wisconsin, her Master’s Degree from Boston College, and her Ph.D. from the University of Oregon. She completed internship training at the Boston Medical Center Department of Child and Adolescent Psychiatry, where she worked in the Pediatric Emergency Department, Outpatient Clinic, and the Trauma Team. In addition, she worked at the Boston Veteran's Affairs Medical Center providing assessments and therapy services to veterans. After becoming licensed in Massachusetts, Dr. Eckel worked in the Boston Medical Center Growth and Development Clinic, assessing young children and working as a member of the treatment team. She then worked in the Center for Multicultural Mental Health at Boston University School of Medicine, where she directed a program for airline personnel and first responders who had been impacted by 9/11. During these years, Dr. Eckel also published several articles focused on child mental health.